Convert the format of your video files in the cloud with VEO Video Converter, a website which allows to pass videos from one format to another. Carry out video conversions quickly and easily over Internet. Manage and administrate your videos. Compatible with a large amount of devices. 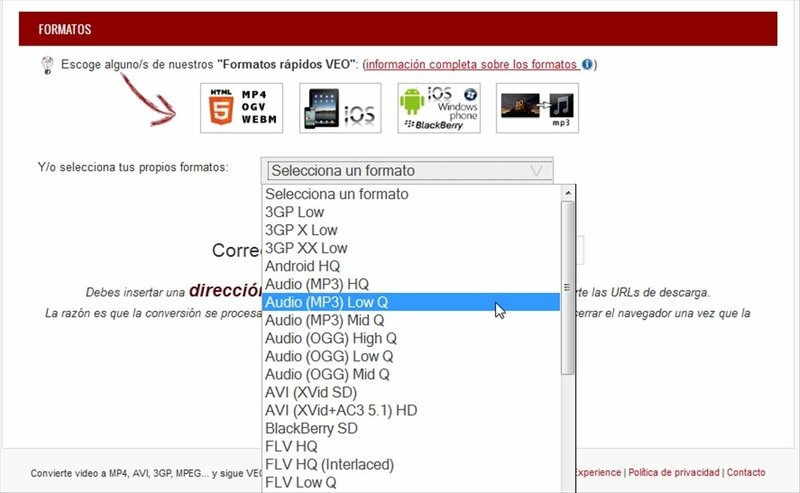 Convert between the most popular and used formats: MP4, OGM, FLV, H.264, 3GP, OGG, MKV, etc. Upload your files directly to the web and social networks. Versatile and comfortable video converter. Select a video stored locally on your PC or the URL where it is stored to convert its format. You can add various files at the same time. 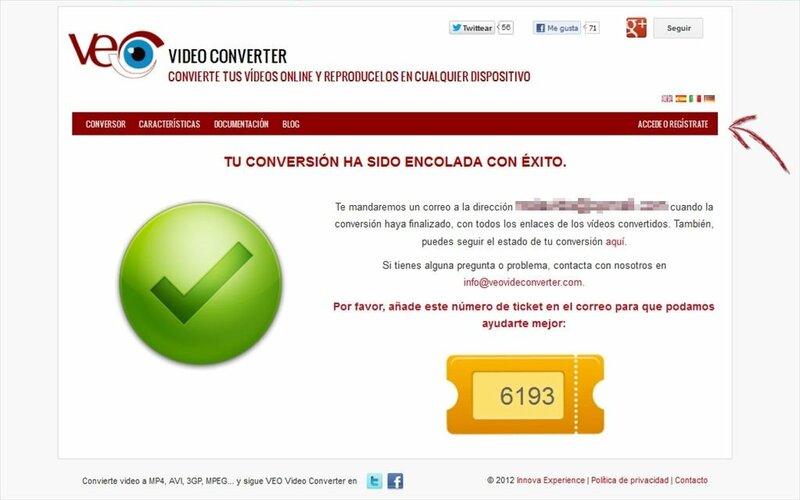 When the conversion finished, you will receive an electronic mail with the links to download your converted videos.